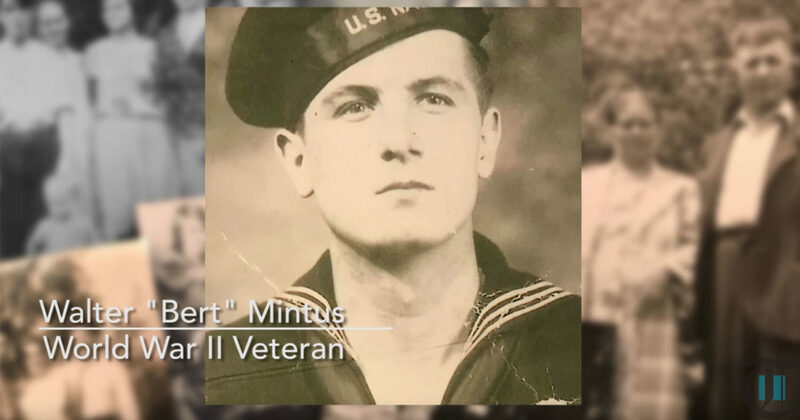 The Beaver County Times remembers ARM3c Walter “Bert” Mintus in video. Mintus was a radioman on a TBM-1c Avenger. His plane crashed in 1944, and Mintus was declared Missing In Action (MIA). Project Recover located the Avenger in 2016. Mintus took off from the USS San Jacinto on July 27th, 1944. His crew was on a mission to bomb a Japanese base on Malakal, Palau. His aircraft was in the lead position of four Avengers. According to reports, Mintus’ plane was in the lead by 3-5 miles when it was shot down. ARM3c Walter Mintus and his two crew-mates were declared Missing In Action. The DPAA accounted for the gunner on the aircraft, Otis E. Ingram, earlier this year. Missing In Action WWII servicemen are memorialized on the Walls of the Missing in the Manila American Cemetery. A rosette will be placed next to Mintus’ name to indicate he has been accounted for.